Step 1: First of all you need to make efforts to create outline of your course; for this purpose you can make use of few advanced and interactive tools like X-Mind etc. This course outline must help students to get some idea about what are the target topics of a particular course and what sequence will be following during sessions. Step 2: You have to spend your most of time on this step as here you need to work on a script that you will discuss during your session. The minimum length of one Udemy lecture use to be 30 minutes so you must prepare a script with enough content and it must be interesting throughout. Step 3: Prepare few slides to present your script in much interactive manner. Step 4: It is time to collect all your essential video recording software, editing tools and you have to check quality of your mic as well as webcam. As these recording softwares are required to have editing abilities so experts suggest using screenflow, camtasia or filmora etc. Step 5: Now start creating your demo or promo video but never forget to follow Udemy guidelines while creating this video. Step 6: Start recording your lecture using advanced video recording tools. Step 7: Preview your video and edit where ever necessary as per Udemy timing and content requirement. Step 8: Now design a home page image as per your course topic, it should be impressive enough. Prefer to use Inkscape software tool to get best results. 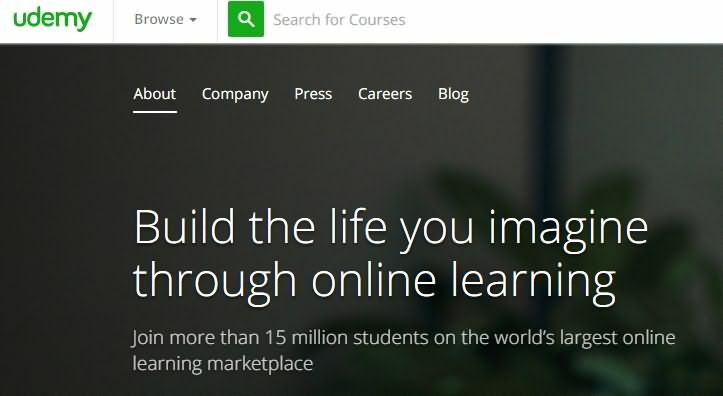 Step 9: After this you have to set up your course on Udemy.com and then upload your course to the website. To complete this step accurately you must follow Udemy guidelines. Step 10: Once your content is uploaded to website then post the video and publish it; wait for recommendation from Udemy. Step 11: You can promote your course work on various social media channels.